New East Nashville cottage community Porter Road Place is nearing completion, and we’re thrilled to list three more properties in this friendly neighborhood-within-a-neighborhood, all of which are stocked with custom details and high-end finishes. The remaining Porter Road Place homes were all designed to offer more than the basics — there’s not a builder-grade detail to be found here, and each includes bonuses that aren’t particularly easy to find in new East Nashville construction: namely, basement space and garage space. With 3 beds, 3 1/2 baths and over 2400 square feet of space, plus an attached 2-car garage and nearly 400 square feet of basement flex space that could fulfill your creative needs, this home would be perfect for a couple or family who want a home that’s drenched with sun — the two-story great room brings big drama, and tons of light. 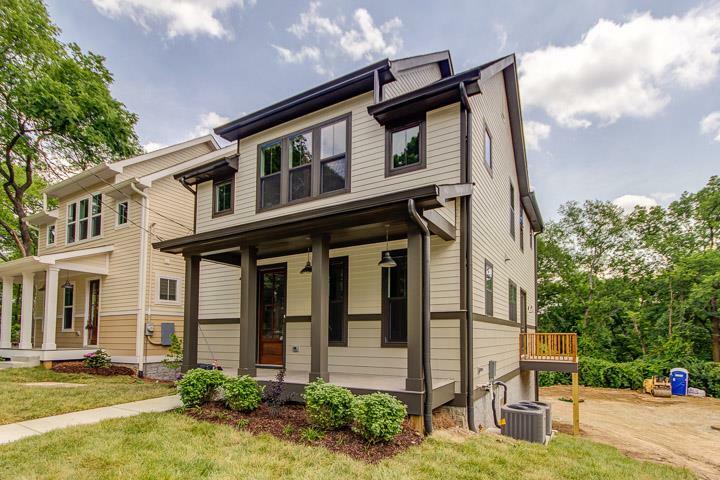 Site 6 is set apart from the other homes, so with this 3-bed, 3 1/2-bath home you have lots of trees for immediate neighbors — a rarity with new construction in the heart of East Nashville these days. 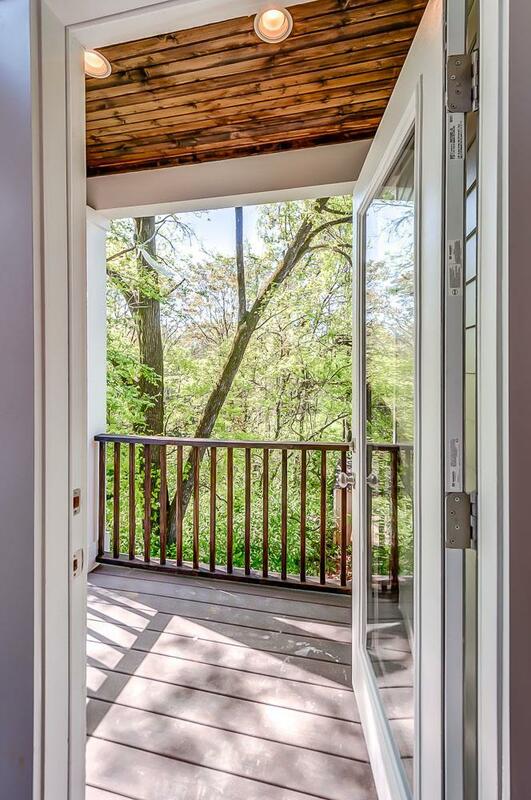 Inside, custom tile and cabinetry, shiny hardwoods throughout and lots more. East Nashville househunters who really want a big basement — whether you need music space, an art studio or just have a ton of storage to deal with — should definitely take a look here: almost 500 square feet of basement flex space, in addition to a two-car attached garage. Plenty of well-appointed living space too, with 3 beds, 2 1/2 baths and an open, airy great room, with upscale finishes everywhere (including a really gorgeous dining-room feature wall). If you’re looking to be in the thick of East Nashville things, Porter Road Place’s location — perched centrally, so you’re minutes from Five Points, Shelby Park, and from the growing hub of businesses in Inglewood — is a major plus. 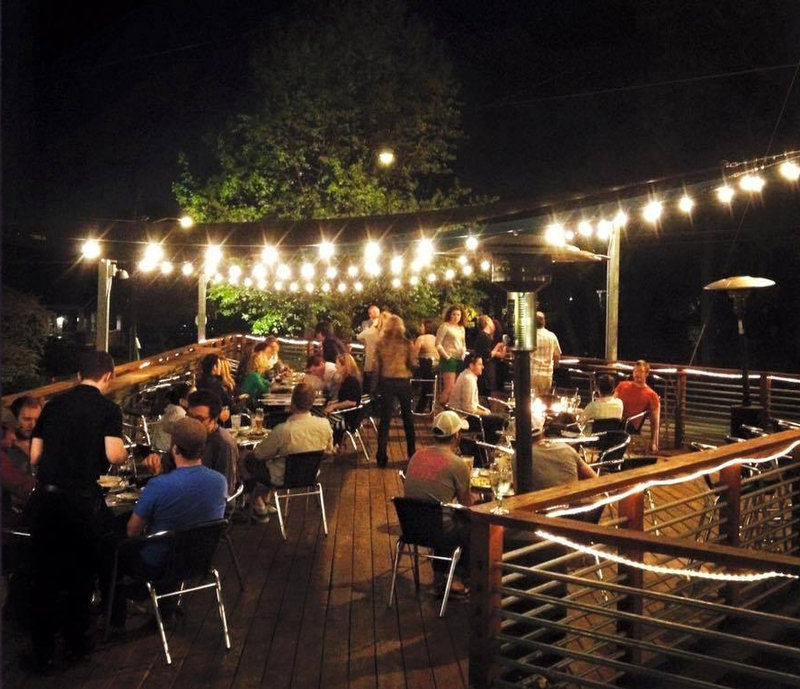 The walkability quotient is already high here, since you’re about a three-block stroll from highly praised all-day cafe Cafe Roze, East Nashville craft brewery Southern Grist, record store/bar Vinyl Tap and more. If you’re up for a little longer stroll, about a half mile south, you have the Shops at Porter East: stylish home-goods shop Apple & Oak, vintage store Pony Show, clothing stops Lucaya Clothing Co. and Amelia Styles, plus lots more on the shopping front, and plenty on the dining front too, with coffee shop The Terminal Cafe, Italian restaurant Pomorodo East (their deck pictured above) and KOKOs Artisan Vegan Ice Cream. 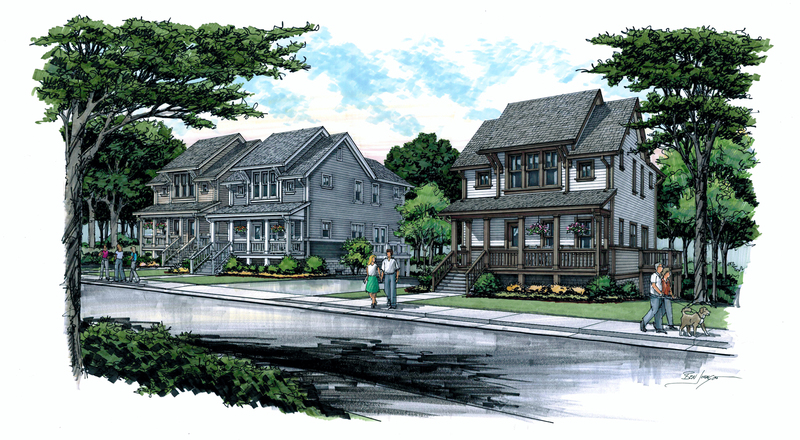 Lots more about the neighborhood, the community and the homes at liveporterroadplace.com. Interest piqued? We’d love to show you these Porter Road Place homes in person — contact ACRE here, and we’ll gladly set up a showing. 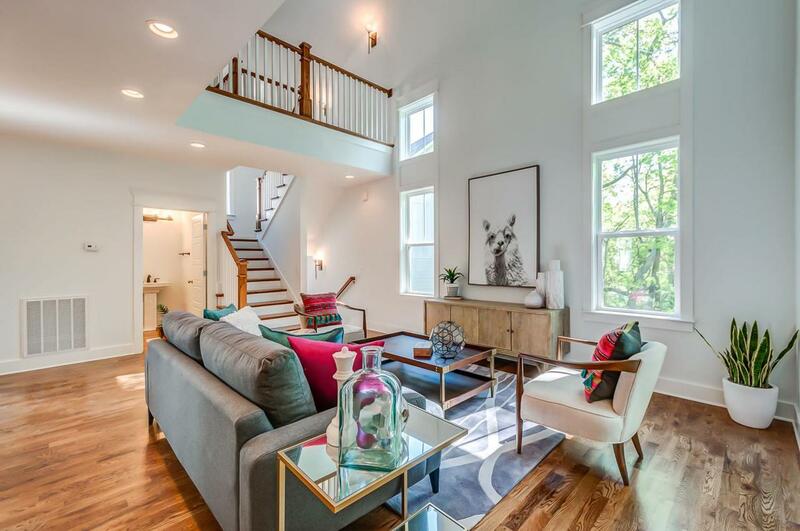 If these East Nashville homes don’t quite suit your needs, and you’d like to see some other options, we’d be more than glad to find some Nashville properties on the market that line up with your wish list. Just call or email ACRE, and tell us about what you’re looking for!